Presidio Hill School is proud of our place in the history of Progressive Education in the United States, as well as in the history of San Francisco. The video below provides an insight into how our current students are looking forward to our next 100 years, and the timeline under the video provides key moments of our history. 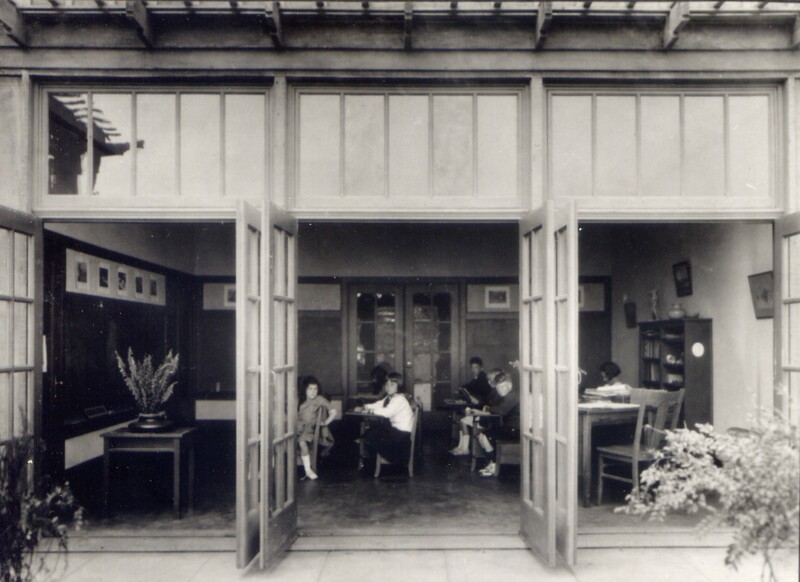 Poet and musician Flora Arnstein, and her sister-in-law, painter Helen Salz, founded Presidio Hill School in 1918. The two women, disillusioned by the dearth of private schools that allowed Jewish students, such as their own children, were inspired by the teachings of John Dewey and of the progressive movement. 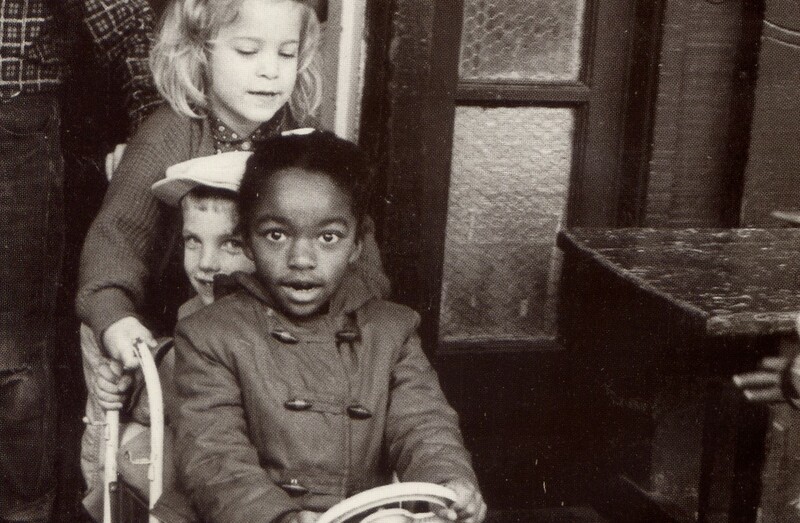 The movement motivated similar school founders of the time, such as those of Park School in Baltimore and the Lab School in Chicago, to teach students in a new way—to inspire a lifelong love of learning by treating students as individuals who can shape their own learning, by focusing on the arts and the outdoors, and by fostering empathy and caring connections throughout the fabric of the school. Thus began a tradition that Presidio Hill has carried on for 100 years, and will continue to carry on throughout the next 100. 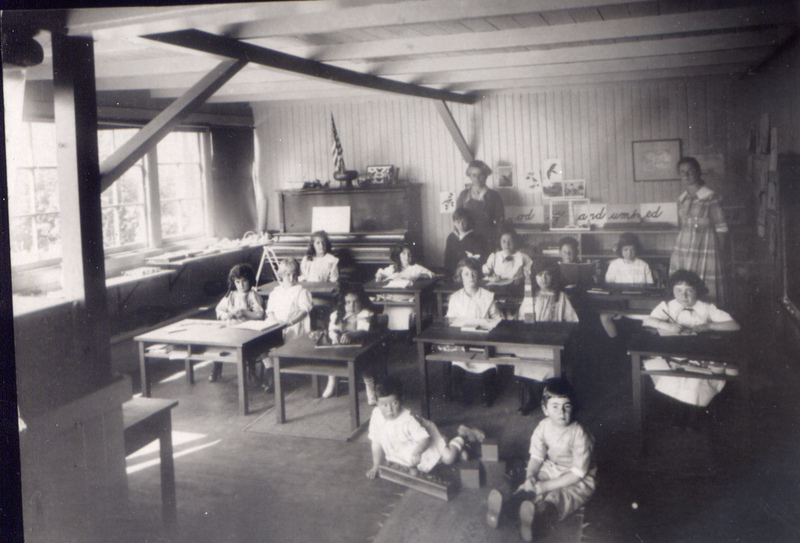 With only a few students, including their own, Helen and Flora open the Presidio Open Air School in a house on a property donated by the Salz family. Open Air Schools in Europe and on the East Coast, such as Shady Hill Open Air School in Cambridge, have adopted the concept originally associated with providing healthful, airy conditions for city children. Following Dewey's "faith in the capacity of human beings for intelligent judgment and action if proper conditions are furnished," and his valuing of "equal opportunity with every other person for development of whatever gifts he [or she] has," progressive schools espoused what Francis Parker called "embryonic democracy." Curriculum follows the progressive commitment to developing the head, heart, and hand: working in the garden, wooden block-building to develop math concepts, and making paper and books to hold student poetry printed on the school off-set printing press. Presidio Hill enrolls 15 students. A second floor to the building is added, designed by Bernard Maybeck-inspired architect George Applegarth. Columbia-trained educator Marion Turner becomes Presidio Hill Head of School. 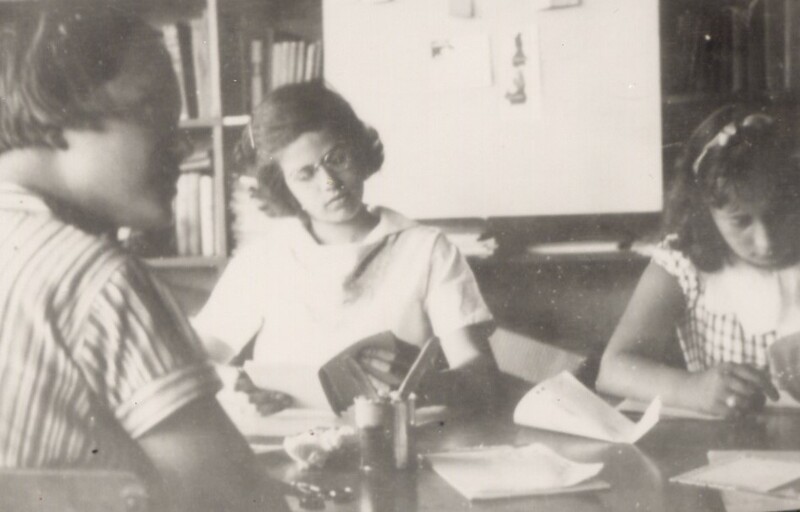 1936 Josephine Duveneck, founder of Hidden Villa in the South Bay (the first residential multicultural and racially integrated summer camps in the county), is beckoned from Palo Alto and Peninsula School to become Presidio Hill Head of School. The Board asks her to expand enrollment and focus on diversity and multiculturalism at Presidio Hill. Mrs. Arnstein ("Forgie") teaches Pierre Salinger (then a young piano virtuoso, later press secretary to John F. Kennedy) to read, utilizing the organic reading and writing method associated with Sylvia Ashton-Warner. Mrs. Arnstein asks him for words he wants to learn; she writes them on cards that become the basis of his reading vocabulary. Presidio Hill helps German Jewish refugees transition to the U.S. and find jobs, some at Presidio Hill. Presidio Hill enrollment reaches 65. 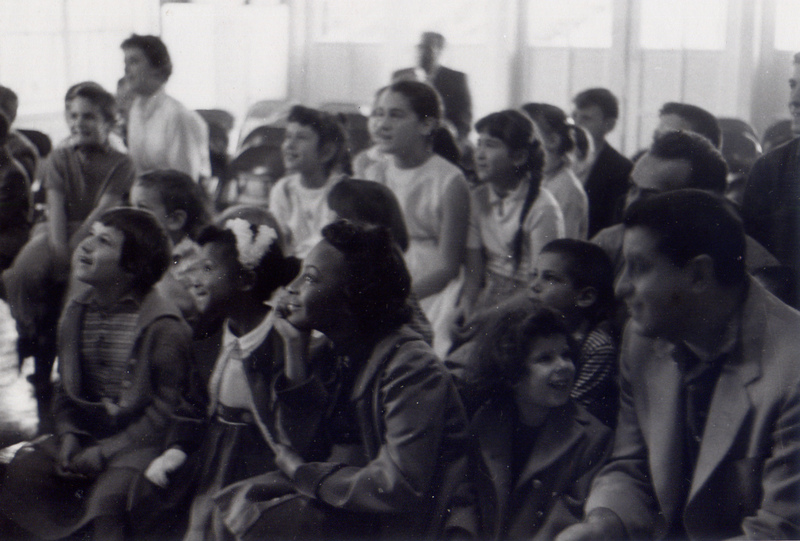 Paul Robeson performs at school. Board members take him to Vanessi’s restaurant where they are denied service. A scandal ensues and the Board sues the restaurant for discrimination. Sisters Rosalind and Stephanie Williams are the first African American students to enroll. In coordination with the American Friends Service Committee, school families help Japanese residents being sent to internment camps, packing their belongings and providing food for the bus journey. Presidio Hill emphasizes and teaches racial, ethnic, and social justice values. School is termed “Red Diaper Baby School” as House Un-American Activities Committee era begins. Katherine Fromer becomes Educational Director. Students go to camp at the Duveneck’s Hidden Villa Ranch in Los Altos. Student created murals are shown across the U.S. by the American Federation of the Arts. The Harvest Festival is celebrated, later to become the annual May Festival. Presidio Hill enrolls 150 students. Blacklisted elsewhere, American folk singer and social activist Pete Seeger performs at Presidio Hill Saturday concerts for the community, bringing along fellow singer/activist Malvina Reynolds. Presidio Hill middle school opens and is housed for a time in an off-site location. Civil Rights Movement values and issues are actively taught. 1968 Bob Muller becomes Head of School. School becomes a membership co-operative including parents, staff, and board. Presidio Hill closes for Moratorium Against the War, 1969. Teacher Sandy Segal leads a group of students and parents to the San Francisco March where he is arrested in front of his students and taken to jail. Parents help the group get back to school. Parent Lawrence Ferlinghetti takes Middle School students on an extended field trip to Mexico. 1972 A major fire causes Presidio Hill to move temporarily to nearby Temple Emanu-El. 1974 Denise Hinckle becomes Head of School. 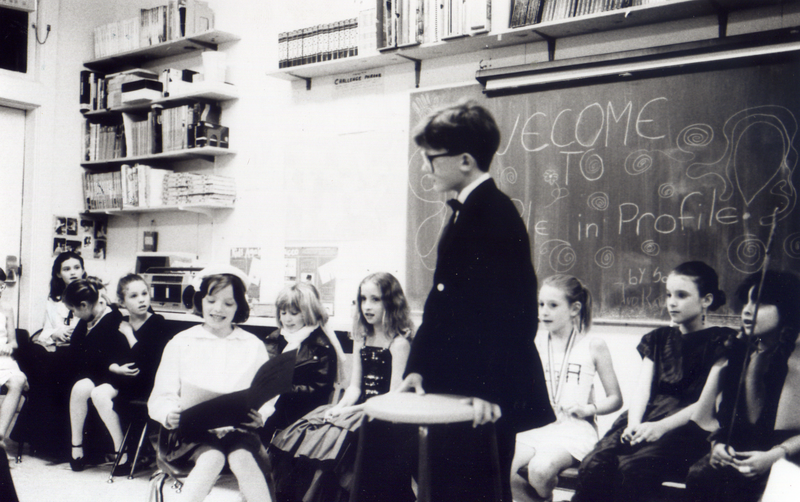 1974 Presidio Hill has its first Follies (created by teacher Dolores Morris), a student-created musical show which continues today. 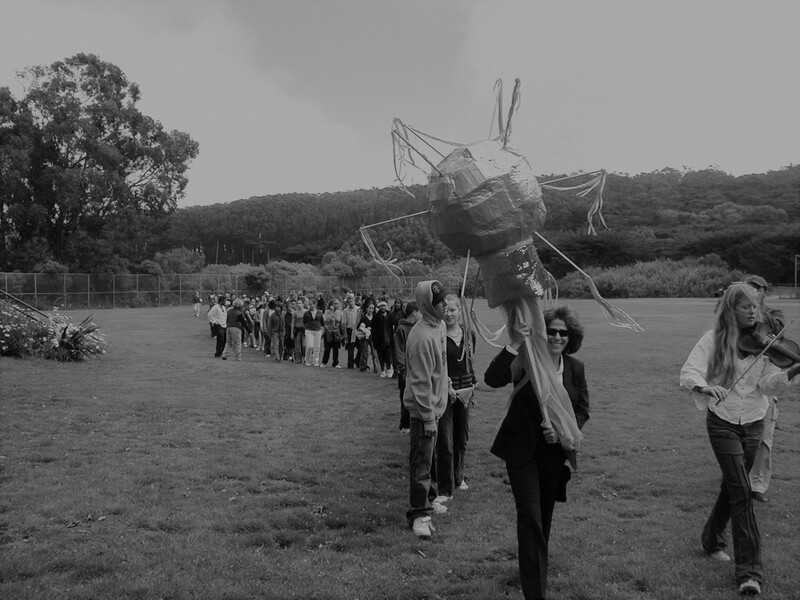 Renowned dancer and choreographer, Anna Halprin choreographs the Presidio Hill “Dragon Dance”— a ceremony during which all students and teachers return to their re-built campus. A group of Presidio Hill parents breaks away to found Live Oak School (now located in San Francisco's Mission District). 1980 Susan Andrews becomes Head of School. Stirred by modernization and eventually a move to enter the California Association of Independent Schools, the co-op examines issues of governance and hierarchy. Development Office is created and an Annual Fund and Annual Spring Fling begin, raising funds for tuition assistance, class field trips and programs, and staff development opportunities. Presidio Hill begins the move away from the co-op and forward to a more mainstream non-profit board structure. 1990 Presidio Hill is accredited as a member of the California Association of Independent Schools and then the National Association of Independent Schools. The Presidio Hill Library expands. Future Percy Jackson Series author Rick Riordan teaches middle school language arts. 1996 David Hochschartner becomes Head of School. Presidio Hill parents Todd Rundgren and Paul Kantner perform fundraising concerts with their bands at the Fillmore Auditorium and the Warfield. 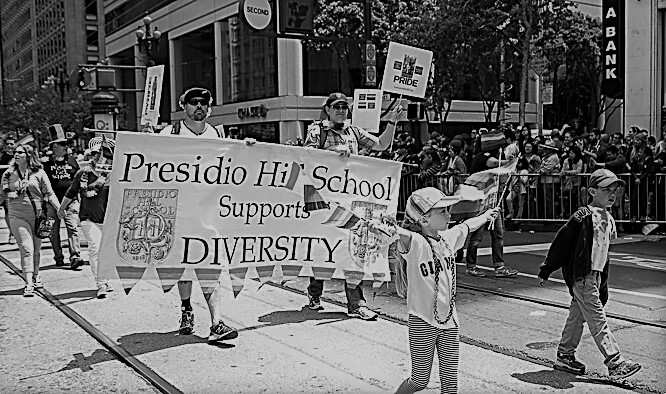 Presidio Hill is one of the first independent schools to march in the San Francisco Pride Parade. 1998 extensive building and enrollment expansion process begins, and eventually $3.3 million is raised for the capital improvements. 1999 Carey Davis becomes Head of School, serving until 2004 when she is diagnosed with cancer. Carey passes away in 2005. 1999 7th grade students from Presidio Hill School begin a partnership with Presidio Park Biologists studying Mountain Lake. Presidio Hill expansion project begins and classes are moved to a building in the Presidio national park. 2002 Presidio Hill School reopens with an expanded building. 2006 Brian Thomas becomes Head of School. 2009 Scott Duyan becomes Head of School. Presidio Hill enrolls 188 students. Presidio Hill enrollment reaches 200 students. The dragon becomes the school mascot. Formalization of curriculum guided by benchmarks, rather than grades, is achieved. 2011 Head of School Scott Duyan petitions for the California Association of Independent Schools to allow Presidio Hill to eliminate standardized testing. 2012 5th grade students from Presidio Hill School begin a partnership with the Presidio Trust to rehabilitate native plant communities at El Polin Spring. 2012 adjacent Maple Street property is purchased. 2015 Center for Progressive Education launches. 2016 Kevin Jacobson becomes Head of School. 2016 Presidio Hill Maple Street expansion project is completed. 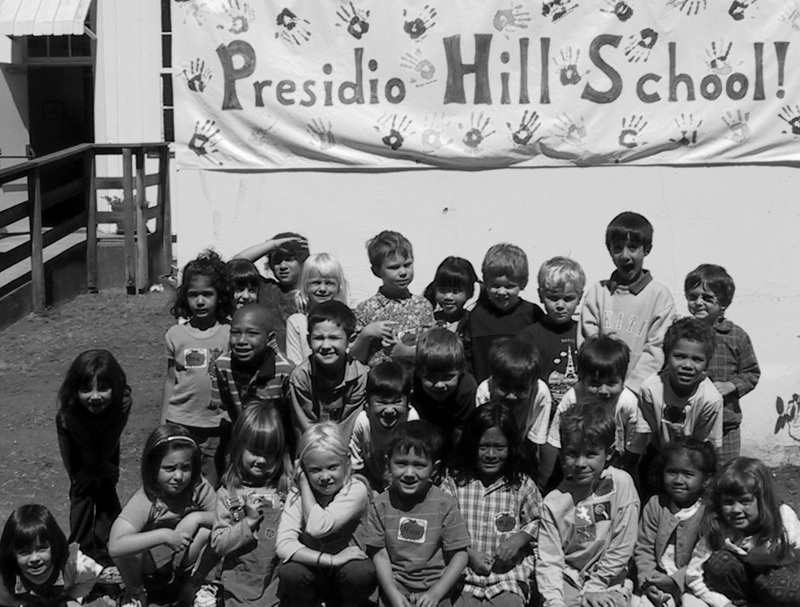 Founded in 1918 as the Presidio Open Air School, Presidio Hill School has grown and flourished over the last century. Our students continue to be caring community members who advocate for themselves, for others, and for what is right; they are intrepid and engaged learners. Presidio Hill staff members have encouraged and captivated students for 100 years—learning alongside the students, fostering leadership, and inspiring civic engagement. 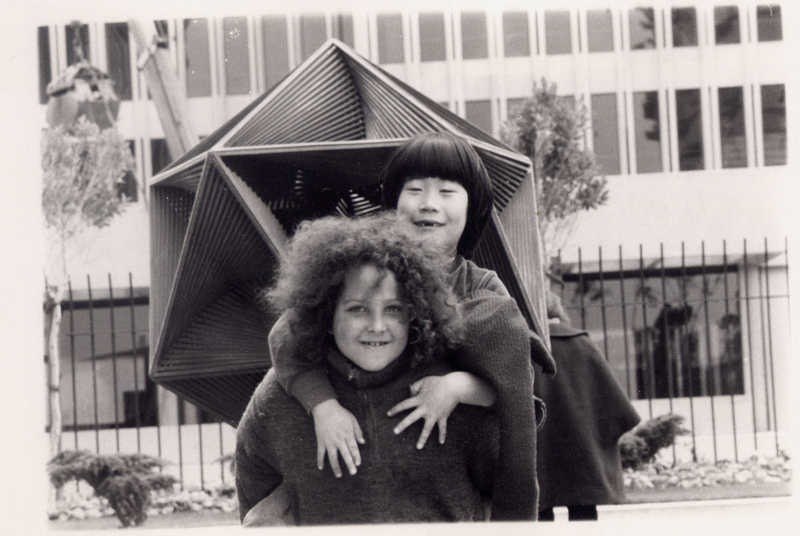 Presidio Hill School, while having changed and grown in structure over the last century, maintains the progressive mission and inclusive values from its founding—values that have made the school an incredibly special and unique place throughout the years.